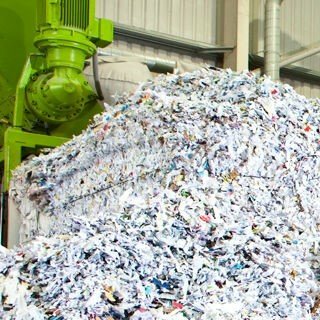 We offer a national shredding service with rapid local response and high levels of security from security vetted staff, providing peace of mind that all confidential information is handled securely. Our Partner supplies a wide range of bins and containers for both the secure containment of confidential materials, and for collecting and storing items for recycling within the office. 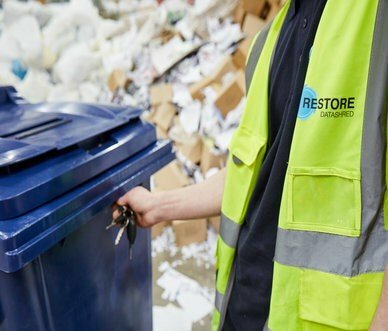 We work with industry leading suppliers to provide you with a wide range of bins and containers for both the secure containment of confidential materials and for collecting and storing the items for recycling in the office. Our paper sacks can hold around 15kg of paper waste. Once sealed, the entire contents of the sack can be placed in our state of the art shredders, without the sack having to be opened.